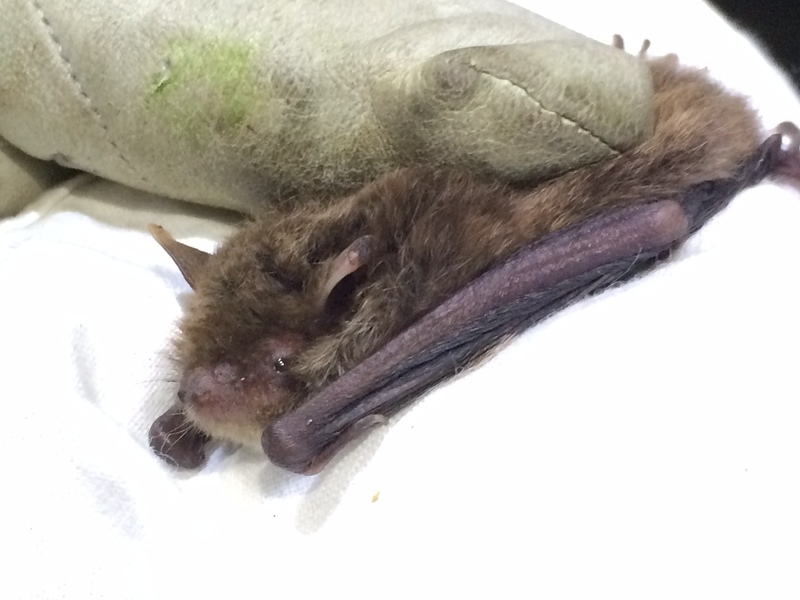 Bat tree-roosts confirmed in Jersey – and first Daubenton’s bat caught! Last week the Jersey Bat Group held a week-long course with BatCRU, a bat research unit from the UK, in order to help advance the bat woodland project which has been running since 2014. Using a combination of harp traps and mist-nets we managed to capture 151 bats of eight different species. Bats are normally relaxed in a harp trap and sometimes appear to use it as a roost. 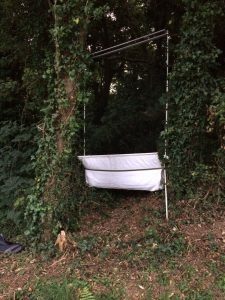 Mist-nets are useful as they cover a much larger area but must be watched constantly in case a bat flies in so it can be extracted quickly and does not get too tangled. This is only done by experienced bat workers. The bats are then identified, measured and released. The jewel in the crown during this latest week was the capture of a Daubenton’s bat (Myotis daubentonii) at Val de la Mare Reservoir. 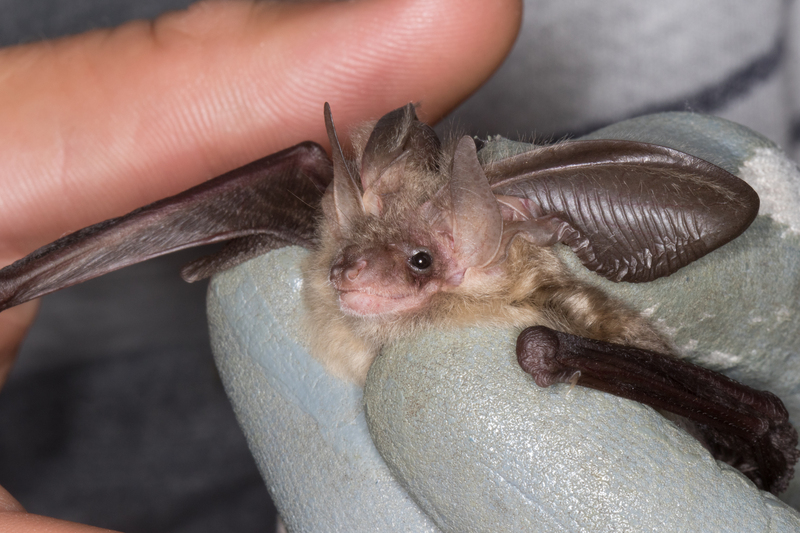 This adds a second new species to the Jersey list this year following the discovery of the Alcathoe’s bat (M. alcathoe) in St Catherine’s woods in May (story here). A Daubenton’s bat was seen skimming over the water and, although recorded using ultrasonic bat detectors in the Island last year, had not been confirmed until now. Daubenton’s bat has a large range and is known for hunting insects low over water. It weighs between 6-10 grams and has large feet with which to capture small insects. We can now add a new island species to our list which makes a total of fourteen species. By far the majority of bats caught last week were common pipistrelle (Pipistrellus pipistrellus) including many juveniles which was encouraging considering the poor weather conditions in June. We also caught three other species of pipistrelle: soprano (P. pygmaeus), Kuhl’s (P. kuhlii) and Nathusius’ (P. nathusii) and two long-eared bat species: brown (Plecotus auritus) and grey (P. austriacus). 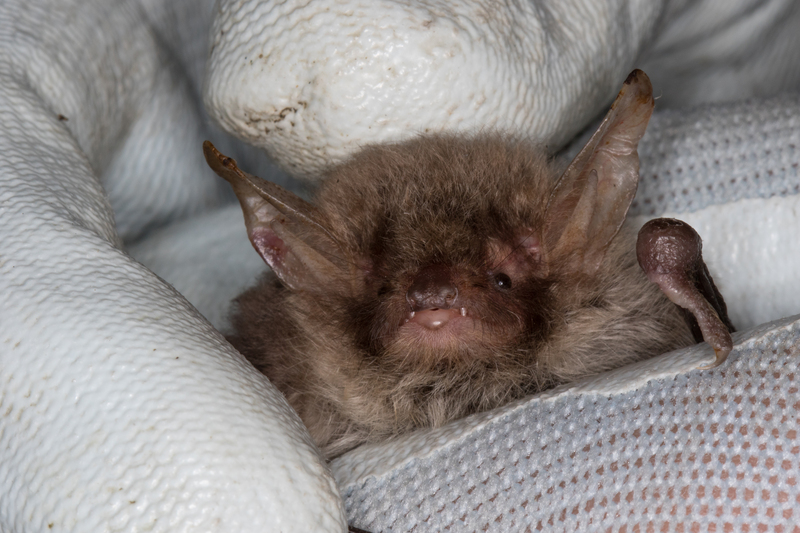 Finally two species of Myotis were found in the harp traps and mist-nets: Natterer’s bat (M. nattereri) (of which there were many) and the newly discovered Daubenton’s. Whereas it was always assumed that bats in Jersey were using tree-roosts like they do elsewhere, none had previously been observed here. During the course, two female bats, one brown long-eared caught at Grève de Lecq and one Natterer’s caught at St Catherine’s Woods were fitted with radio tags. The tags, weighing around 0.3 grams and attached to the dorsal side of the bat which makes it difficult for them to be groomed off, were fitted by Daniel Whitby, a licenced professional ecologist and founder of BatCRU. We chose post-lactating females for this as the roost they may lead us to would most likely be a maternity roost. Members of the Bat Group then used receivers and antenna to track the bat using a VHF signal. Excitingly, we discovered two tree-roosts in Rozel and in Grève de Lecq Woods. The first contained several brown long-eared bats and the other around forty Natterer’s bats. Bats were also filmed emerging from the tree-roosts soon after sunset by using infra-red camera equipment; this enabled us to count the numbers of bats within each maternity roost. Both tagged bats moved from the original tree-roost to another tree nearby which is normal for woodland bats so in effect we have discovered four active tree-roosts whereas before the course we had not discovered any. We expect the bats to move again thereby creating more tree-roosts for us to observe in the future. The tiny transmitter could last up to 10 days unless it is groomed off sooner by bats in the roost. 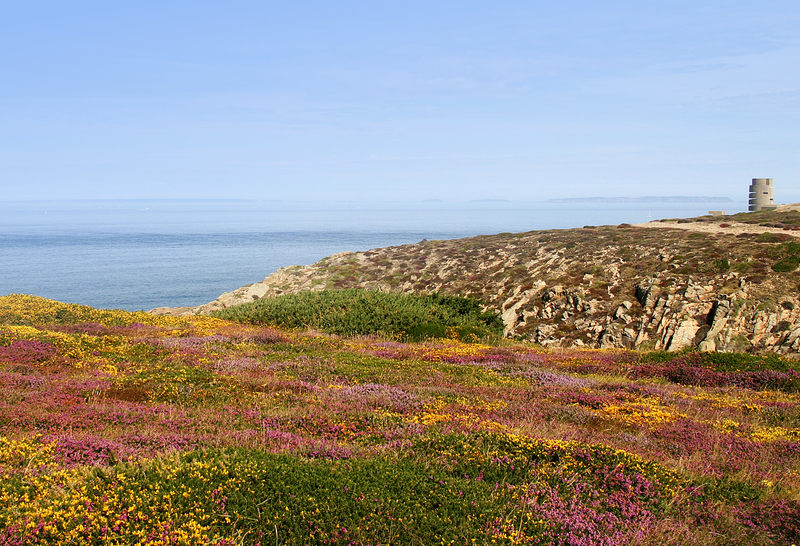 During the remaining summer and early autumn we will be continuing our research and may discover more new species. We will certainly learn a lot about our local bats and collect plenty of data which will be useful for future projects. Dr Amy Hall, Chair of the Jersey Bat Group said ‘this is a very important discovery which will likely lead to a change in woodland management and arboricultural practices in order to protect tree-roosting bats’. The Bat group would like to thank the following for allowing us to conduct bat research on their land: Jersey Water, Rozel Manor, La Hanniere Farm Ltd, The National Trust for Jersey and Ken Syvret. We would also like to thank the BatCRU team for their useful input.